Just a small squirt of J.R. Watkins Dish Soap will create wonderfully scented suds in your sink. This natural, earth-friendly formula leaves your dishes sparkling clean. 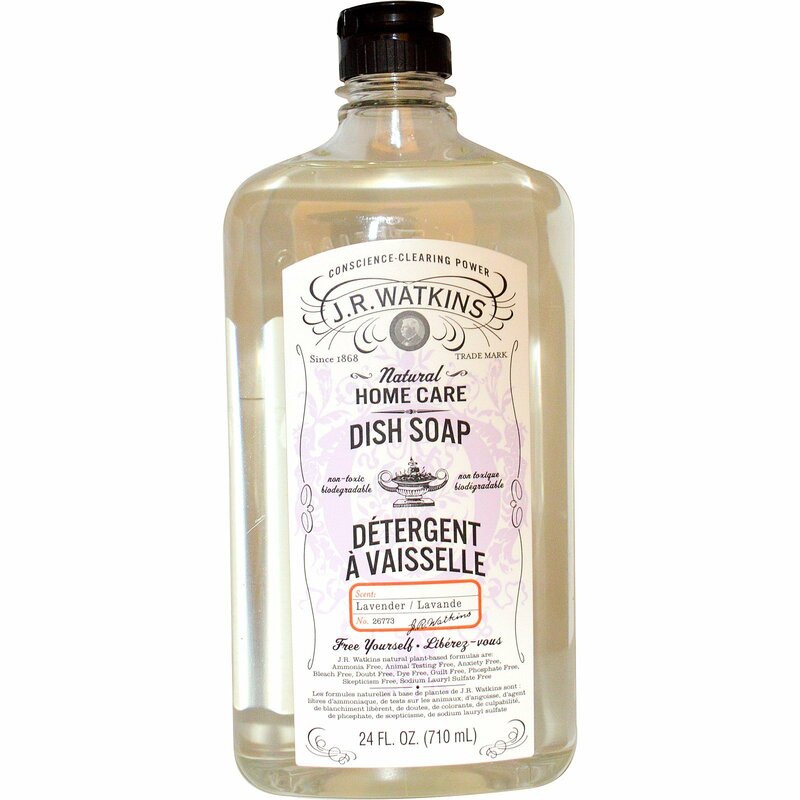 J.R. Watkins Lavender Dish Soap combines the sweet smell of lavender with its gentle yet powerful plant derived cleaning agents, to make doing dishes a breeze. Get the dirt on green cleaning product J.R. Watkins proudly discloses all ingredients. Squirt a small amount on a sponge or directly into dish water. May need to increase or decrease usage depending on grease level. 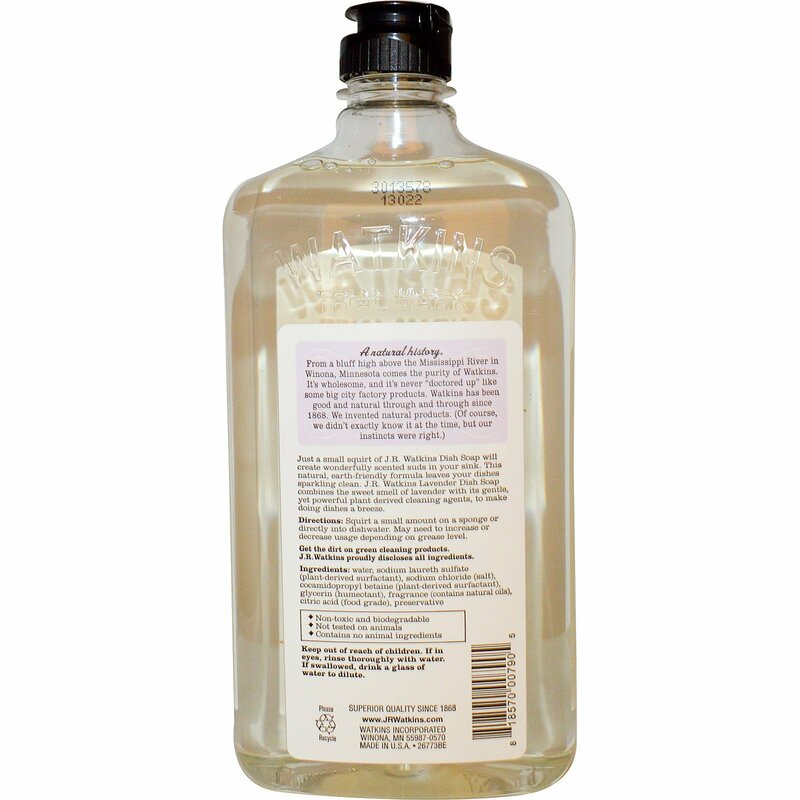 Water, sodium laureth sulfate (plant-derived surfactant), sodium chloride (salt), cocamidopropyl betaine (plant-derived surfactant), glycerin (humectant), fragrance (contains natural oils), citric acid (food grade), preservative. Keep out of reach of children. If in eyes, rinse thoroughly with water. If swallowed, drink a glass of water to dilute.